I tried a few popular dessert shops located all around Hong Kong. Let’s see. 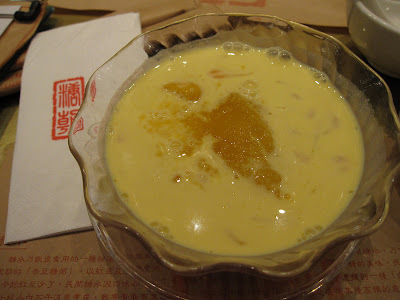 1) First, the famous chain stores named Hui Lau Shan Healthy Dessert (许留山). 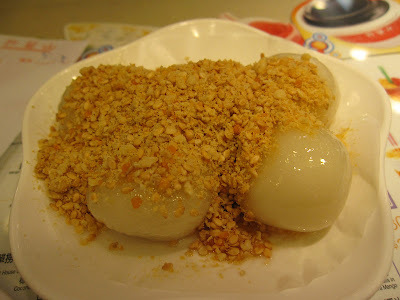 One of the popular names for sweet treats that came within your sight almost everywhere in Hong Kong, even in New Territories (新界区)! We went to outlet at: Hui Lau Shan in Causeway Bay (銅鑼灣)@ 24-30 Percival Street, Po Hon Building, the 26th G/F (波斯富街24-30號寶漢大廈地下26號舖). 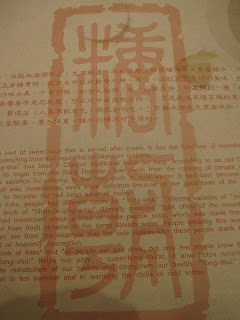 I ordered one of their signature desserts, 芒之恋, simply means Love of Mangoes.. 芒之恋, a dish of mango 3-ways. Here’s come another mango dessert. This is a restaurant, having not only dessert, they served full fledged meals. 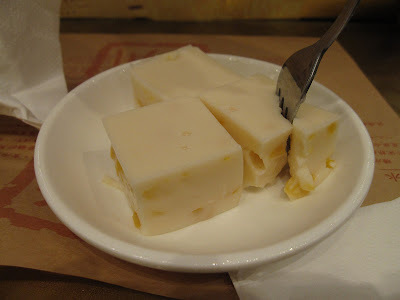 This is a MUST-TRY dessert in Hong Kong, the mango and pomelo dessert (杨枝甘露). 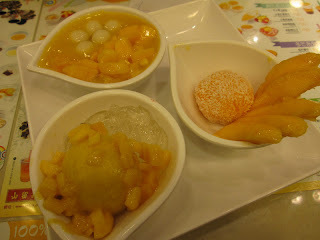 Sweet Dynasty served pretty good 杨枝甘露. This creamy and flavorsome chilled dessert was imaginatively presented before us. The fresh mango paste and refreshing pomelo pulps in the cream soup yielded an interesting mouth feel that you wouldn’t able to resist at all! Since we were there in the early evening, was feeling a little empty in the stomach, yet, not our dinner time, we ordered a tofu dish which looked just too appealing in their menu, I was attracted by it. So, it turned into our order just to fill us up a little. Tasty gravy cooked with egg white, scallops and prawns topped over steamed egg tofu, this special side dish was simply a smart choice, well done, mate. 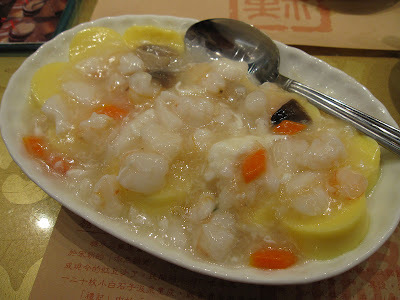 This 2-storey restaurant was easy to locate with its address here @ Ground Floor, 100 Canton Road, Tsimshatsui, Kowloon. Business opens till 1am. Check out detailed location here: My Note Book on the Web.